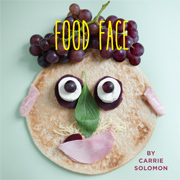 Food Face is part of the Soberscove Press Artists' Board Book Series. Intended for art lovers and book lookers of all ages, these books were produced using aqueous coatings and soy inks. In Food Face, “playing with your food” takes on a whole new meaning through a series of easy-to-follow, illustrated recipes. 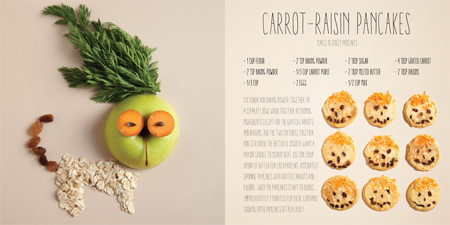 Whimsical characters composed of ingredients demonstrate a fun way to think about food, inviting children into the process of cooking. The colorful photographs of ingredients and prepared foods create before-and-after connections and encourage edible experimentation with color, shape, and line.